As the number of building approvals in urban centres like Sydney and Melbourne continue to climb, the property development market is showing no signs of slowing down. With tighter regulations on overseas investment, and domestic investor lending slowing, securing buyers can be difficult. 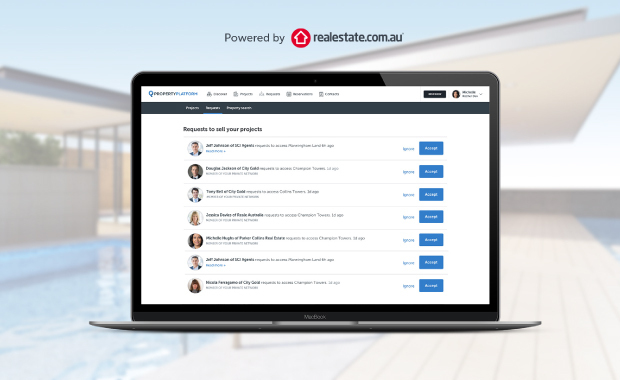 A new initiative from realestate.com.au is helping to ease this struggle, offering developers, builders and project marketers access to a new network of selling agents. 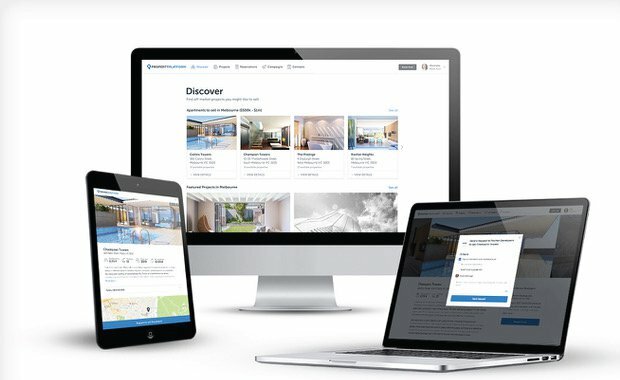 Powered by Property Platform, Marketplace connects off-the-plan properties with selling agents all over the country. While the product launch in September saw businesses on both sides of the transaction benefit from local connections, a secondary advantage has quickly emerged. With access to interstate selling agents – developers, builders and project marketers have the opportunity to reach buyers in other cities, widening the potential investment pool and increasing the chance of a sale. Marketplace allows project owners to publish their current projects to the platform, where a network of qualified agents are searching for off-the-plan properties to sell. Once the project is published, licensed agents who are interested in the development are able to send a connection request to the project owner. If the project owner thinks the agent is a good fit, they will approve their request to sell. This transparent process ensures the project owner has complete control over the selling process. Control over the agent-selection process is managed by a number of filters, meaning that if desired, projects are only discoverable to a select few. One of these filters is the location, which enables developers and project marketers to share their projects with selling agents in certain locations. Rather than restricting the radius to local agents only, the location filter allows project owners to reach interstate selling agents, subsequently exposing their project to a network of buyers who may be searching for investment opportunities in other cities. Take Sydney, for example, where higher levels of competition is making the purchase opportunity difficult and buyers are looking for property in other states. A recent report from realestate.com.au showed that the second most popular suburb searched by NSW off-the-plan apartment buyers was, in fact, Melbourne CBD*. Marketplace allows project owners in Melbourne and Brisbane to open their projects to selling agents based in Sydney, exposing their project to a whole new market of buyers who may recognise the benefits of investing in other cities. The ability for project owners to grow their network Australia-wide, reaching buyers they may otherwise find hard to locate, ensures the best possible chance of a seamless, off-the-plan sale.